Mark Hill’s Pick and Mix in Boots Cardiff. 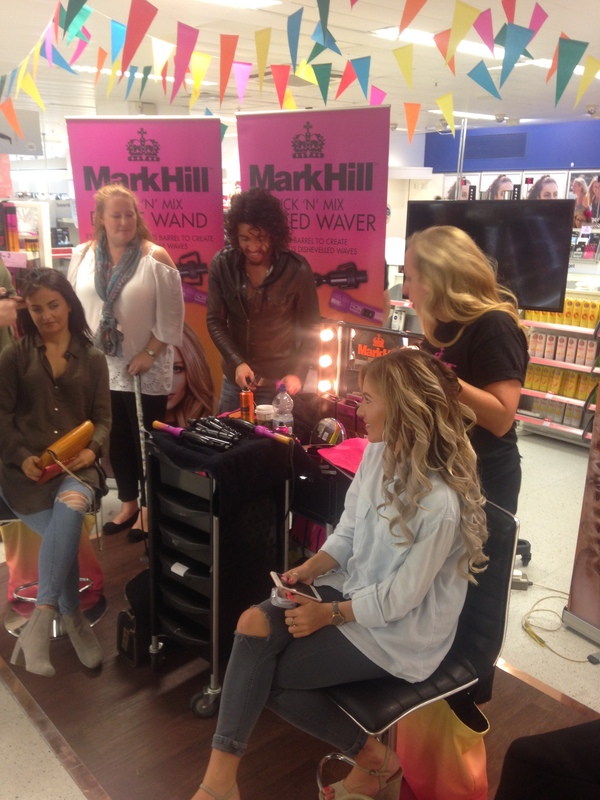 Earlier this month I was lucky enough to work on the day when Mark Hill came into store to demonstrate his new Pick and Mix range of hair tools and products. I popped down to have a look at the display and Meet Mark on my lunch break. There was an array of products on display including every wand available to purchase, three demo stations to have your hair done by one of the wands of your choice and a pop up selfie booth. I was told that they had a blogger event in the morning as they assumed that’s why I popped along, I wasn’t invited to but didn’t mind as I got to see the event all day from my counter. I didn’t want to steal too much of Mark’s time as there were people waiting to meet him so I didn’t have a chance to talk about the products, but one of the stylists gave me a summary of the products available and what they did. 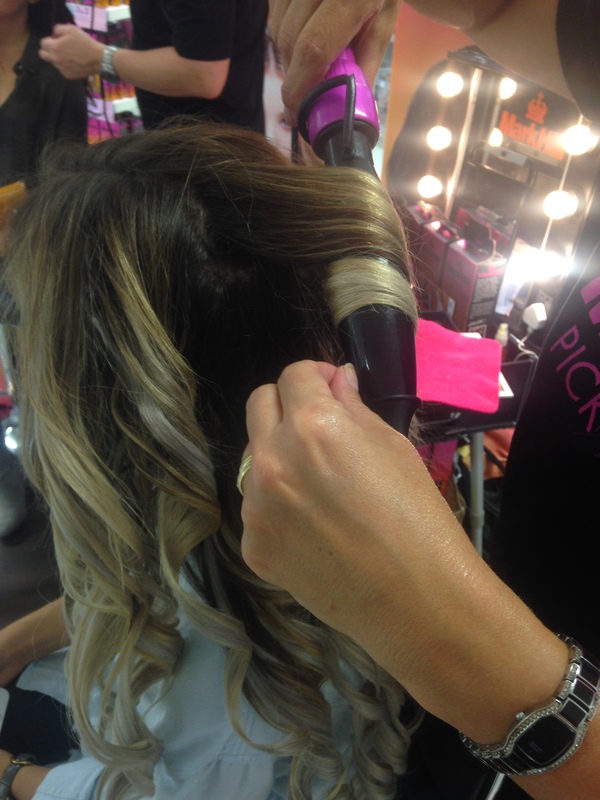 The Pick and Mix range is handy interchangeable system which saves up a lot of space by minimising the amount of tools needed to achieve different hairstyles. 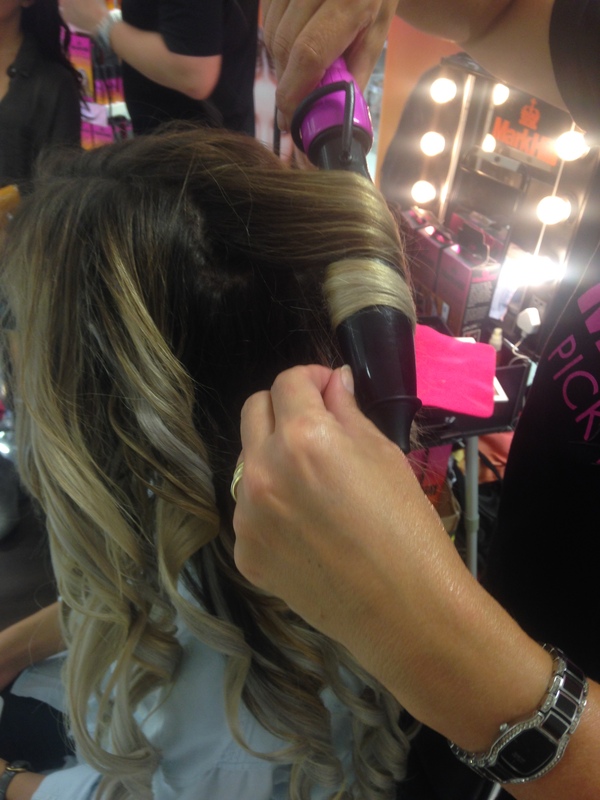 You purchase the curling wand handle for £14.99 and then choose the barrel of your choice and clip it on, priced at £11.99. For me I always change up my style and having to save for different wands and tools to do the job is costly and does take up a lot of room in my appliance drawer, this is such an amazing and nifty invention I’m surprised no one has marketed it on the mainstream market more or sooner than this. I was shown the Ellipse Wave on a lady who was kind enough to let me watch her hair get transformed. There are 5 different wands to choose from after purchasing the handle, all helping you to achieve different looks for whatever occasion. The Ellipse Wave creates soft large curls and waves, Wicked Waver for a a rough, textured and ready curl, Cork Screw for tight bouncy and voluminous curls, Medium Barrel for loser textured curls for all hair lengths, and finally a Small Barrel for a classic curl. All are a great size to store away without taking up too much space. 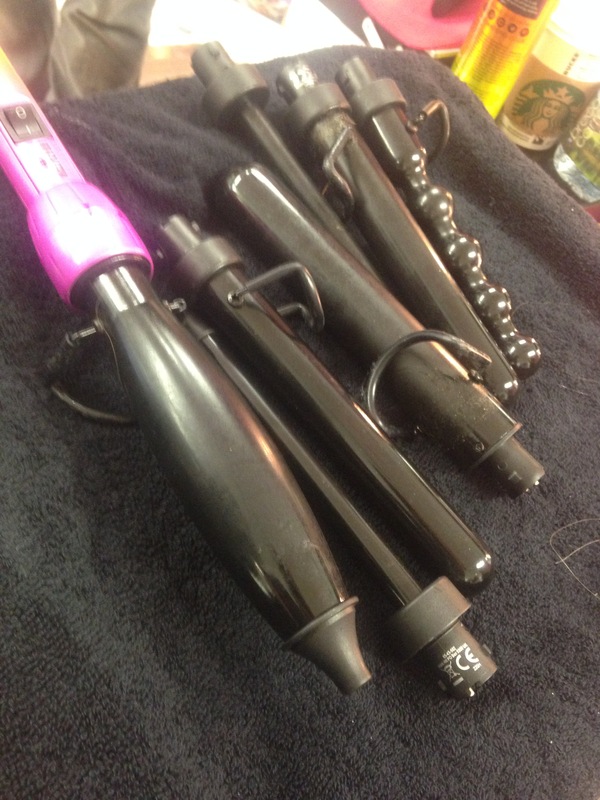 As well as the wands, there is also a range of products to help tame and control your desired curl and hold it in for longer to be used with the Pick and Mix wands. All are priced from £5.49, which is a great price point and allows people to definitely allow themselves to experiment with their looks. 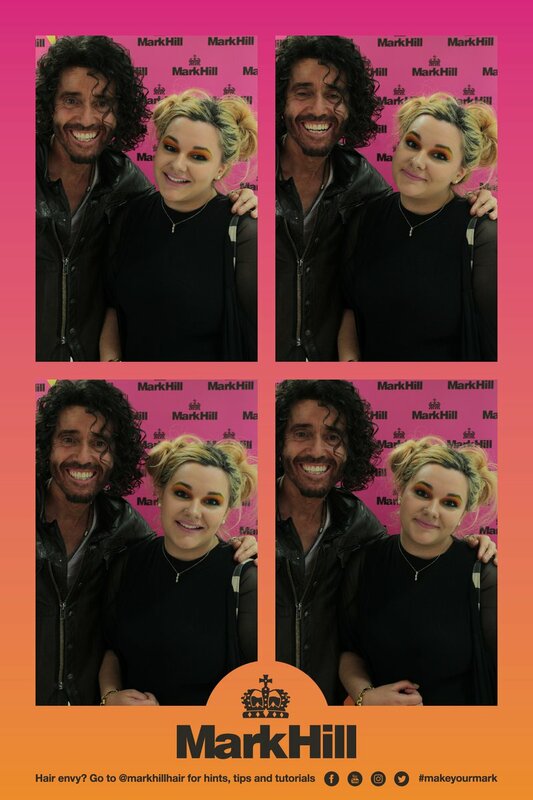 I got to have a quick picture with Mark while I was there in the selfie booth, and popped it on my Twitter as well. It’s definitely something I’ll invest in in the future, I only have two types of curlers and it’s frustrating only being able to afford and have the space to keep so little hair tools, so this is something I’m putting on my Christmas list to myself! 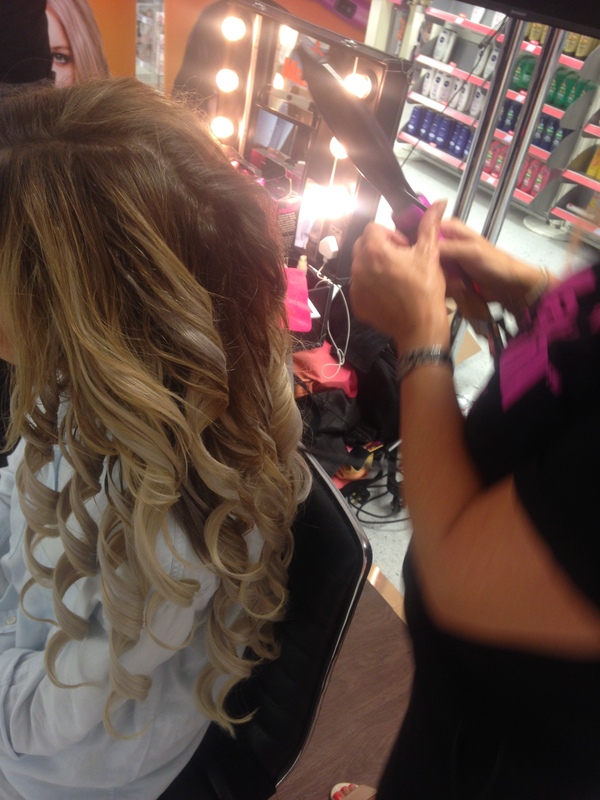 Posted on September 20, 2016 by sindyydollPosted in In and Around Cardiff, Local and National Events, Press EventsTagged bblogger, Boots Cardiff, british beauty blogger, british blog, cardiff beauty blogger, Cardiff blogger, hair, hair blogger, hair tools, mark hill, mark hill hair, mark hill pick and mix, mark hill review, pick and mix review, pick and mix wand, pick and mix wands, welsh blogger. Previous Previous post: Kat Von D Beauty has arrived in the UK! Next Next post: Korean Skincare and makeup Haul at TK Maxx Cardiff.